There haven’t been any amazing golf Games released in the past few years. 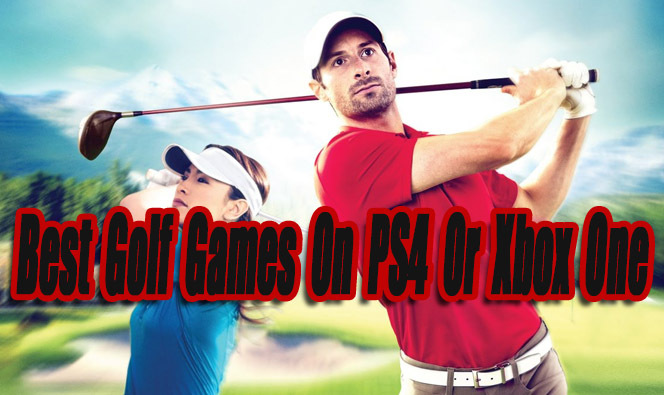 However, there has been a good variety of golf games released for PS4 and Xbox One, that are worth playing. 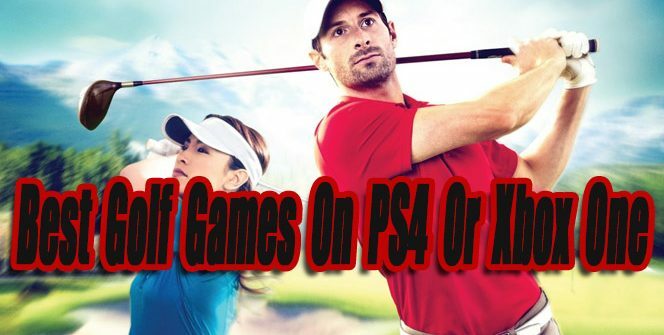 This article features the best golf games released for both PS4 and Xbox one so far. Including all golf game genres, such as simulators, arcade style, and Mini Golf. Ranked based on fun factor, depth, and quality. If you agree or disagree with this top list or have feedback to add, please remember to leave a comment! I am glad SNK ported NEO Turf Masters to the PS4 and Xbox One. A classic NeoGeo arcade game originally released in 1996. 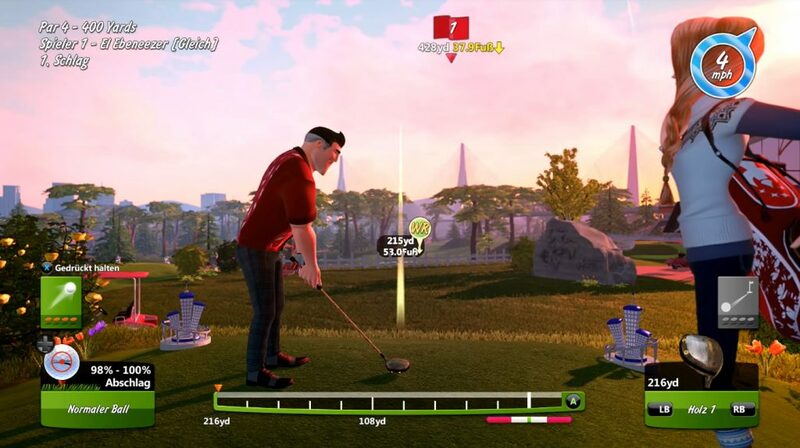 The game features four different golf courses to play on, each with 18 holes. The courses are located in USA, Germany, Australia, and Japan. Players can choose from 6 different pro golfers, each holds unique stats. The gameplay is super easy to learn, for starters just watch the wind level, aim correctly, swing the club at the desired power level and height. The game’s graphics are outdated, they can be compared to retro 16-Bit consoles, but the graphics still work well with the gameplay. 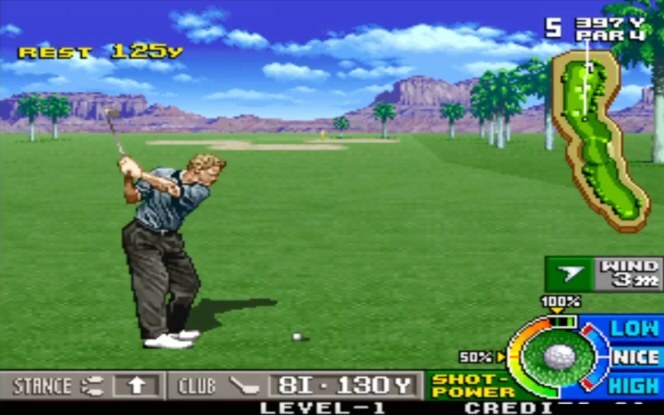 Overall NEO Turf Masters was one of the best Golf games to come out in the 1990’s. Even today it’s a solid and fun arcade golf experience. It’s even more fun played locally with a friend! Powerstar Golf is a calming experience. One of those games that’s fun to play on a weekend morning when you have nothing else to do. The characters are charming along with the solid comic-style graphics, even if they do look a bit outdated. The easy to play controls is what I loved most about Powerstar Golf. Noobies can literally skip the tutorial and learn how to play completely within 10 minutes. The game features four 18-hole courses, along with six characters to choose from. Powerstar has some depth also, with 45 career events to play through and metals to earn. Players can level up their characters and earn money. With money earned upgrades to gear and special perks can be bought. Powerstar’s biggest downfall is not having a proper online mode, luckily playing with four players locally is an option. Rory Mcilroy: PGA Tour has had positive and negative reviews. It really has many high points, as well as some disappointing aspects of the package. 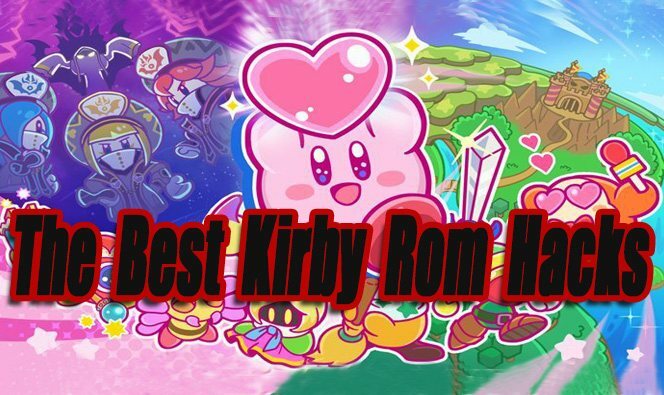 Let’s talk about what’s great about this game first. It has the best graphics out of any golf game ever created, thanks to the updated Frostbite game engine. Golf courses, golfers, ponds, grass, and trees never looked so good. The two online modes work well, as long as you can find someone to play with. 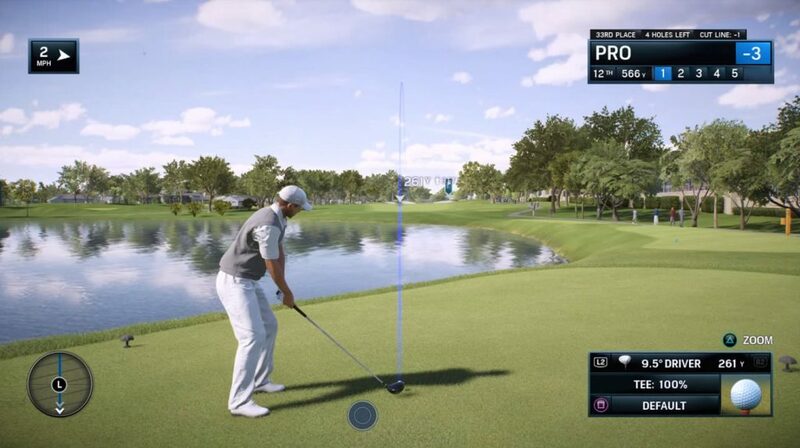 EA added new optional control schemes and three different club swing styles to choose from, making the game very inviting to newcomers or seasoned veterans. Overall the gameplay, courses, and modes are a ton of fun. Now let’s talk about the negatives! Rory Mcilroy: PGA Tour’s biggest problem is the lack of modes, golf courses, and features. When comparing it to other previously released EA golf titles such as Tiger Woods PGA Tour series, it feels a bit shallow offering about half of what Tiger Woods last game had. Half the modes and Golf courses, along with a very weak player creation tool. The lack of content does not kill the experience though. Rory Mcilroy is still a good game, and a must play for any golfing video game fan. Infinite Minigolf is probably the best mini golf game ever created! I don’t believe it received the recognition it deserves, but then again this is a very niche genre. What’s amazing about Infinite Minigolf is the ability to create your very own courses. The course editor rocks, with many easy to use features and the ability to share your created courses with others online. The characters and graphics are also pretty good. It’s incredible how well the controllable ball physics work and how fun the single-player campaign gameplay is. I only planned to play it for an hour, but it turned into 4 hours somehow! That’s how addicting this game is. By collecting purple gems you can earn cash to buy new items, clothing, and golfing gear. For a small golf sub-genre, Infinite Minigolf is packed with depth and it’s worth the play time. This game also provides PSVR support, although I have not played it using PSVR yet. 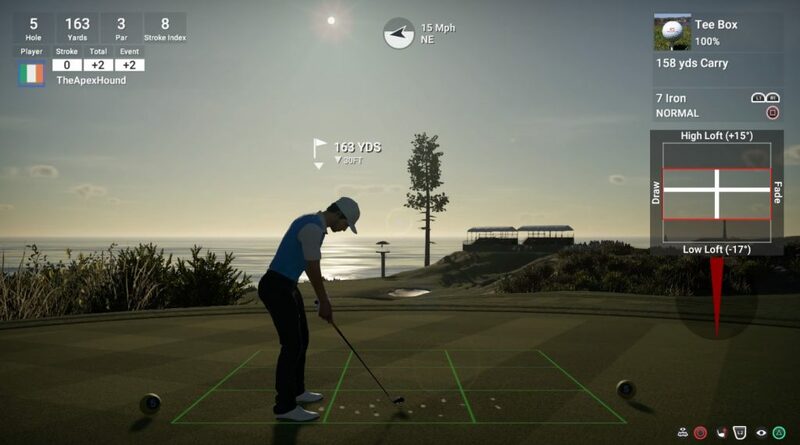 The Golf Club 2 is the most realistic golf simulator available for the PS4 or Xbox One so far. It’s not a perfect simulator, but it’s impressive, to say the least. When The Golf Club 2 was first released it had a lot of technical problems, server issues, and bugs. The developers have released a couple of patches to fix these issues since. The game’s mechanics and courses have been improved over the first Golf Club game. I was very impressed with the improvements to the swing mechanics, it feels much more real and fair now. The career mode is jam-packed with courses. Players will start at the bottom of the ranks, win events, earn money and try to take make it to the top. The game is not easy to learn, getting used to the controls and the realistic physics will take some time. I had a hard time learning how to putt correctly for a while. Don’t expect to be a pro, when you only put in a few hours of play into it. It’s one of those games that will likely grow on you, the more you play it, and the better you get at it. Once you gain some confidence in your golfing skills, I would recommend competing in online Golf tournaments for some extra fun. The course creation tools have also been improved over the first game. The character creation tools are a bit limited, but it’s not too bad because there is a lot of outfits that can be unlocked. Everything else is solid in The Golf Club 2. Overall If you are looking for a realistic golfing experience, this is the best option at the moment. Everybody’s golf is the newest entry in the Hot Shots Golf series. If you loved the past games in this series, I promise you will love Everybody’s Golf. There has been a lot of improved changes and additions to the game, however, the addicting arcade style formula has remained about the same. 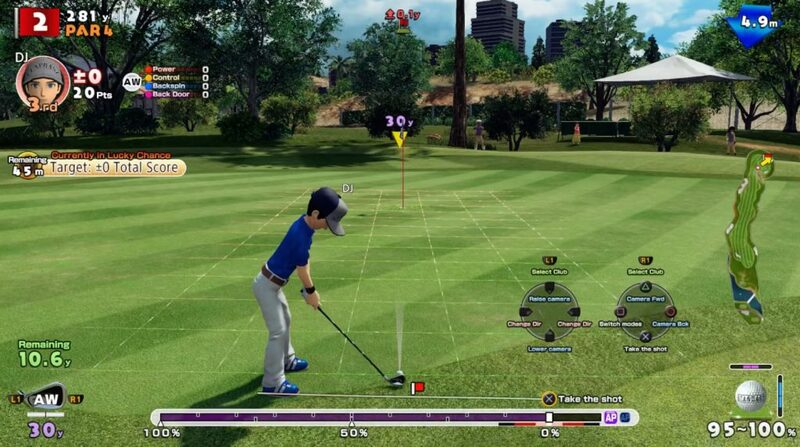 Finally, a golf game that gets character creation right, with many body and face customization options, as well as outfits to choose from. There are tons of items you can unlock by leveling up your character in offline or online modes. 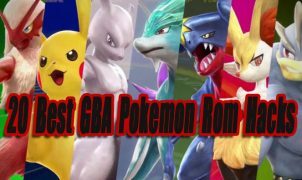 The offline tournaments are fun, and after ranking up high enough players can face off against special boss characters that are challenging to defeat, defeating them will unlock their playable character model. There are 5 golf courses, which is a bit slim, but the way you have to level up to unlock each course will keep you wanting to play more. Golf clubs can be upgraded also, by using them more. My personal favorite part about this game is the online modes, they work very well and are tons of fun to play. As a bonus, there are other unlockable modes, unrelated to golf such as fishing and Karting. Even though I wish there were more courses available to play by default, I believe this is the best Hot Shots Golf game to date! Whether I am playing it alone, with my kids locally, or online, Everybody’s Golf is just so darn fun and addicting! The Golf Club – This does offer different courses then part 2, it is a good game also. If you own or plan to own part 2, I don’t see much of a reason to own the inferior first game though. 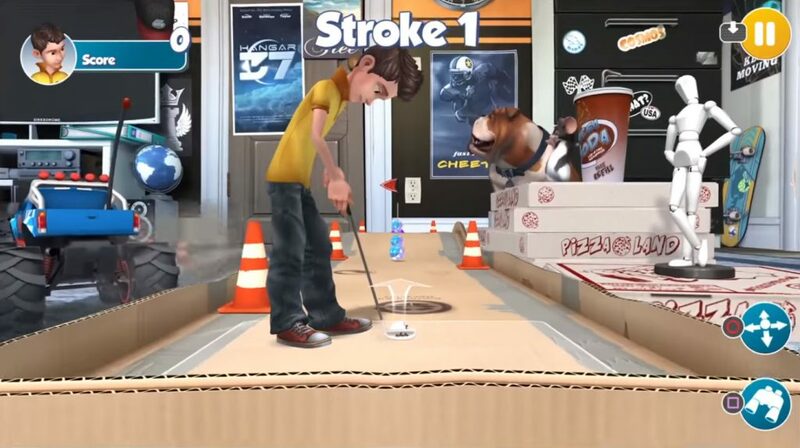 3D Mini Golf (PS4 Exclusive) – Not bad at all, if you are looking to play a straight-up Mini Golf game with 56 holes. Just don’t expect any other bells and whistles. The gameplay is very simple and might be bland for some. The content is limited, but this might be worth checking out at a low price. Dangerous Golf – When golf meets destruction derby you get Dangerous Golf. Smack the ball and try to destroy everything in sight for points. When you are done destroying everything, you can try to make the ball into the golf hole. The game has great graphics, explosions, and physics, but becomes boring pretty fast. Party Golf – An odd 2D game with simple retro graphics, best played with friends. It’s not played like traditional golf. The main objective is to try to hit your golf ball in the hole first. It can become very funny and chaotic when played with 4 friends locally. 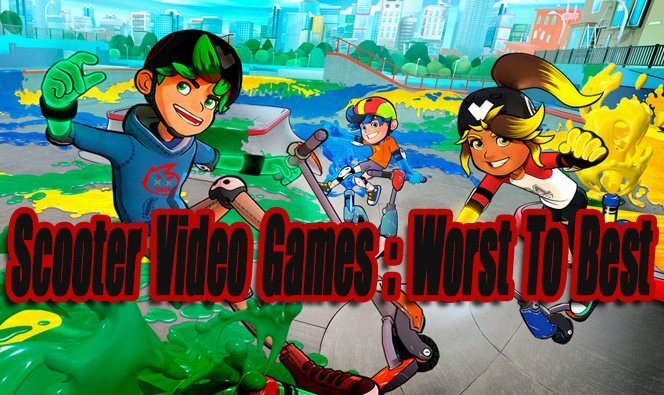 100ft Robot Golf – A mediocre golf game featuring giant robots. You will probably like most of the games listed above better.